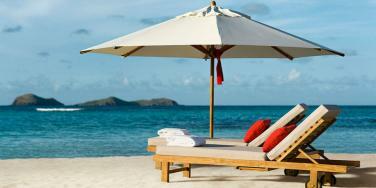 Temperatures across the Caribbean often do not vary much across the year, and St Barths is no exception. The regular trade winds mean that the island gets refreshing breezes throughout the year, which are welcomed in the hottest months of the year. The Christmas/New Year period until around Spring is the most popular time to travel however, travelling out of season in the summer months can be a more affordable alternative, still with high temperatures and vast amounts of sunshine. June until November is considered the rainy season (also the period that hurricanes may hit the island), but showers can occur at any time in the year and showers are often rapid and quick – soon the skies are blue again. Average temperatures in coastal areas range from 22°C to 30°C and inland areas from 19°C to 27°C. These similar temperatures across the island are generally because there is very little variation in the landscape, as there are no mountain ranges or rainforest.